and like the others I've digitally altered, she too has several new looks too. 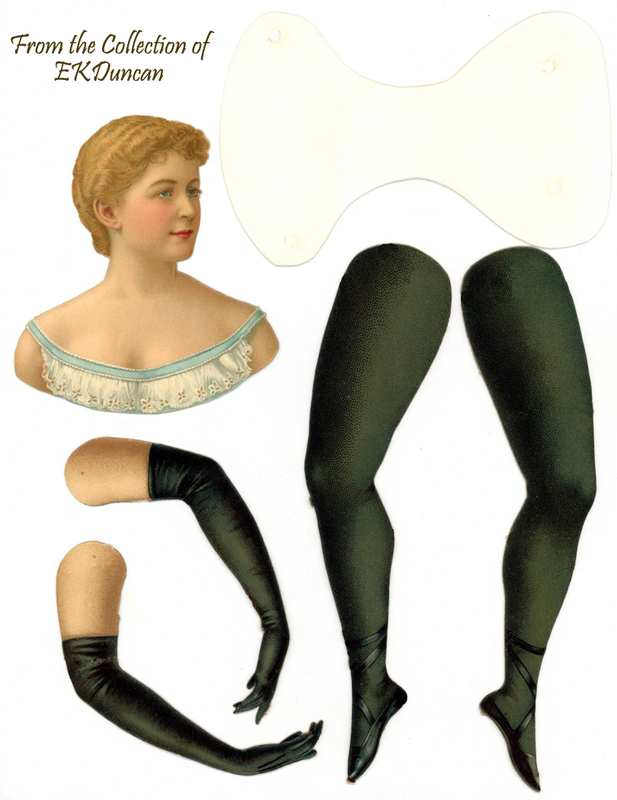 From the late 1800's thru the early 1900's L&B (Littaure and Boysen) continued to produce quality chromlithograph images and my favorite items from that collection are the articulated paper dolls. 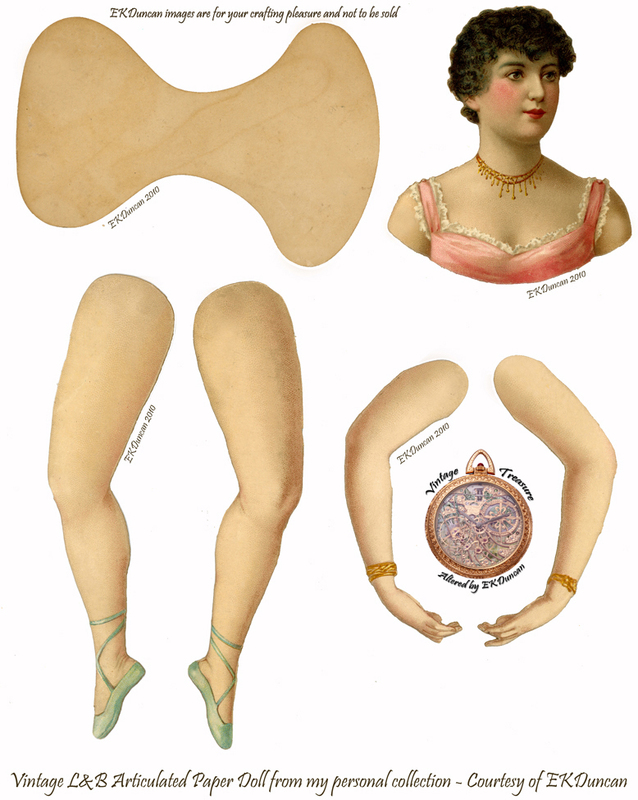 These paper dolls were created in both ballerina and Prima Donna (bloomer girl) forms and many of them came in a variety of sizes. Others were only available in one size. 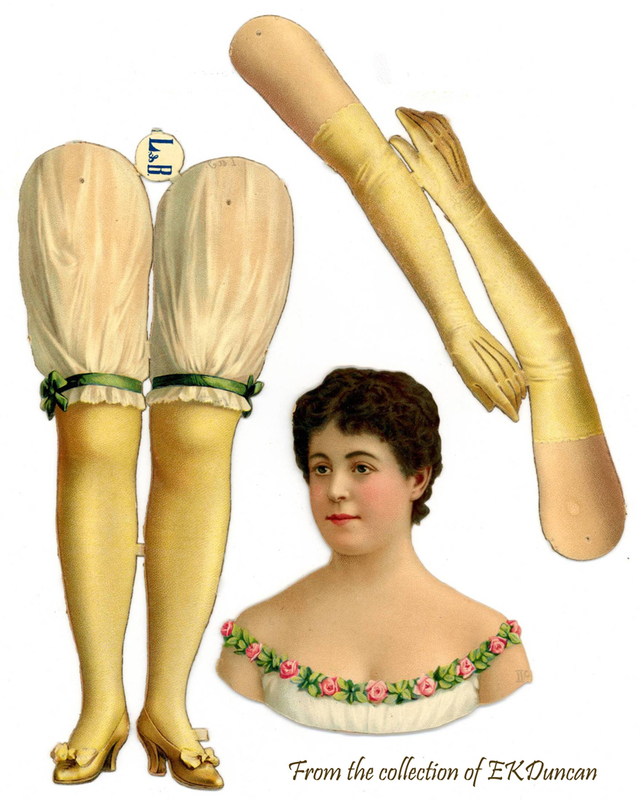 These dolls were based on some of the top theatrical and opera beauties of the day - c1888 time period and the dolls were so popular they continued to be sold into the early 1900's. I know the identity of some of the gems in my collection; however some of these beauties I'm not sure about so I can only assume whom they might represent. 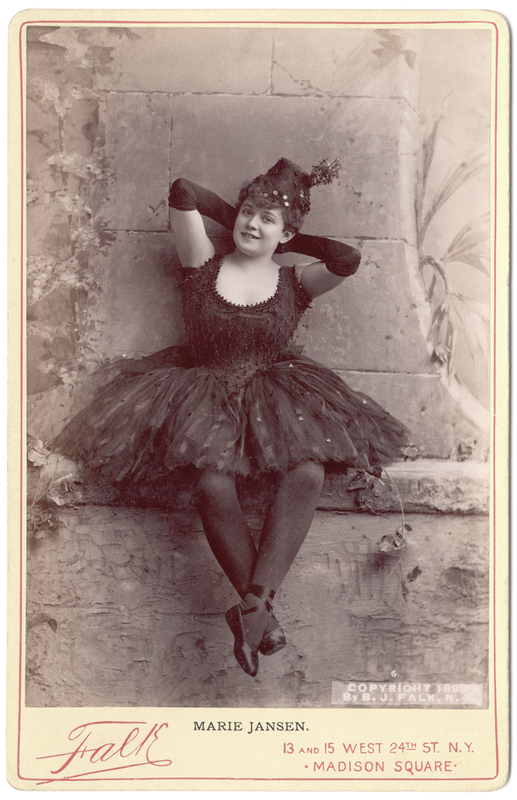 from the late 1880's - please feel free to let me know who she is. 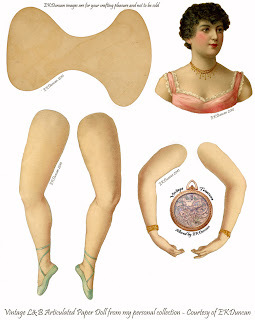 I tried to win the image of this pink ballerina doll a few times before but she always went a bit higher than I was willing to go; then one day I lucked up on a auction for two dolls in fairly rough condition. I rolled the dice, won them for $45.00 with shipping and was able to salvage the parts so I could create two nice digital versions of these hard to find L&B beauties. 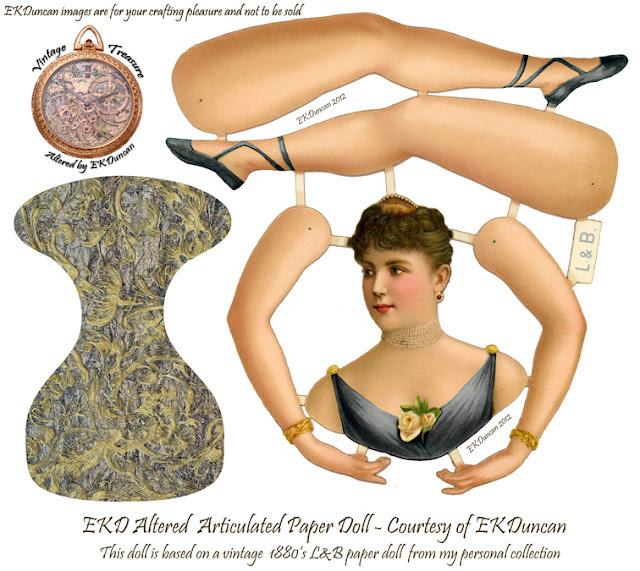 I would never have bid this high on broken L&B paper dolls of the common variety but these two ladies are on the rare side and in my estimation worth the gamble; especially since I've not seen either of them come up for auction since I've purchased these. I'm thrilled to have them in my collection and glad to share their images with you. Both of these were an interesting add to my collection not just because these doll heads are more rare than some of the others but their sizes were unusual as well. Until their purchase my collection consisted of the large 14 inch sized doll when assembled but both of these were smaller in size than I had previously owned. Torso 4 1/2" - Head 3 1/2" - Legs 5 3/4" - Arms 3 3/4"
Torso 3 3/4" - Head 3 1/8" - Legs 5" - Arms 3 1/4"
The auction consisted of 2 broken dolls of each lady - so 4 broken dolls in total. The dolls had also been "factory assembled" with grommets/eyelets, making it a tricky proposition to separate the parts. It took time, patience and the right tools to get the job done but in the end my gamble paid off. I was able to salvage most of the good parts from each doll to nearly complete one full doll of each. Luckily I had a spare arm from other purchases that allowed me to finish off the smaller doll. Eventually I will create art doll, wall pieces using the broken doll parts that are left over. I don't like gluing items over these old gems but in the case of broken parts like missing ballet slippers- those breaks can be easily hidden by adding a funky pair or boots on top. Add some clothing, trim and accessories and nearly any missing, broken or horribly flawed part can be disguised. 120+ year old parts without the guilt that I'm harming an antique. 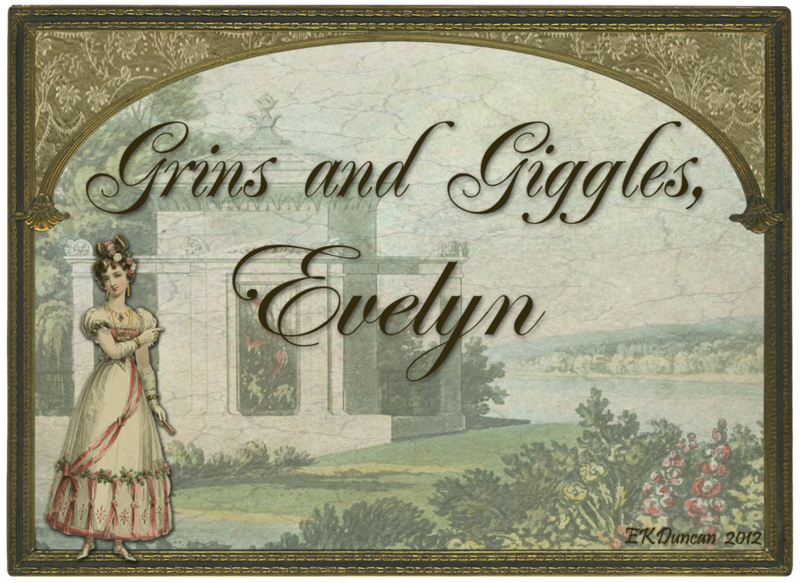 - but that's another post for 2013 - grins. I would eventually clean her up in Photoshop so I could craft with her. however with the holes filled in she's much easier to craft with. She's a cute doll as is but once more I decided to give her a new hairstyle for a more feminine look. and in the nape to mimic one of the styles I've seen in vintage photos of the day. extra hair so she would regain the shorter hairstyle similar to the original version. Personally, I like her better with the new hairstyle so I hope you do too. When I purchased her, she had blue ballet slippers but I thought she should match. The first thing I did was correct this digitally so she coordinated. Next I went to work on giving her new color choices with her wardrobe. I've also thrown in an extra set of arms for added posing choices. what she originally looked like when purchased and now her new altered versions. I think these dolls can be so much fun to dress up and play with artistically. and create a truly one of a kind art piece. The idea is to have fun and enjoy a bit of the past at the same time. 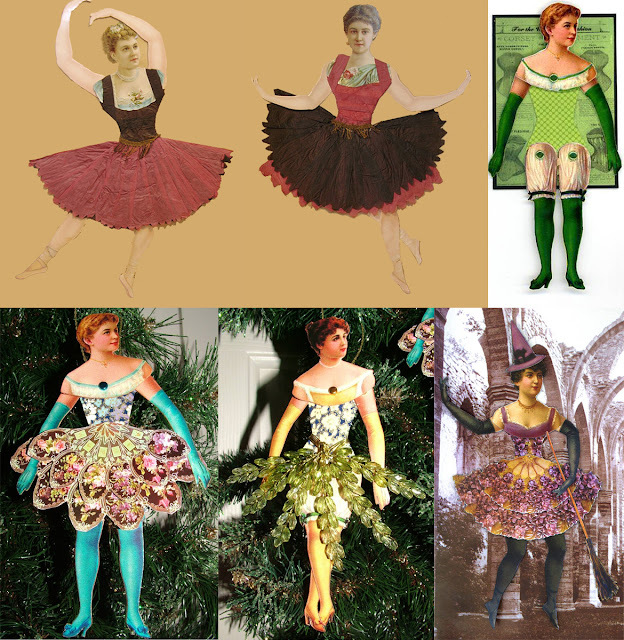 Here are a few ideas for dressing up an articulated paper dolls to get you started. 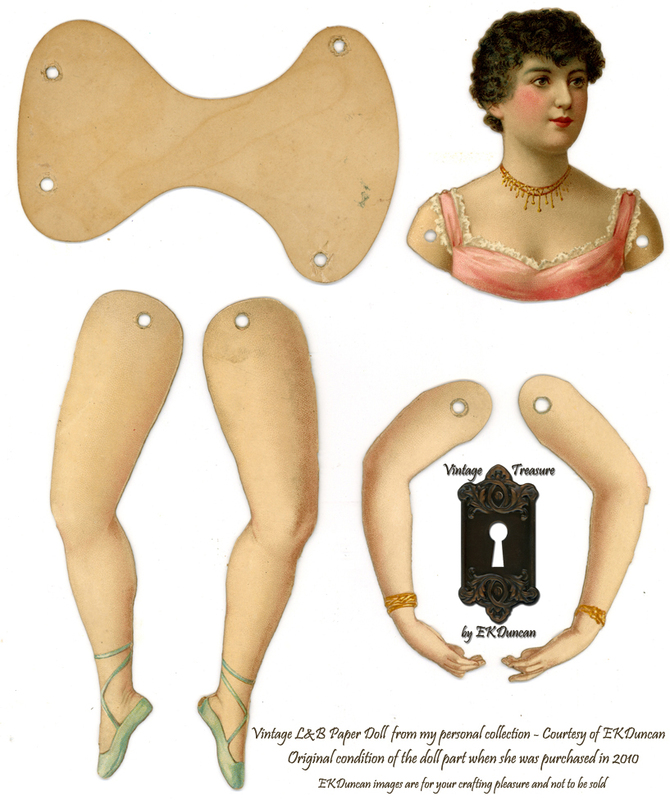 Examples of dressed up jointed paper dolls. 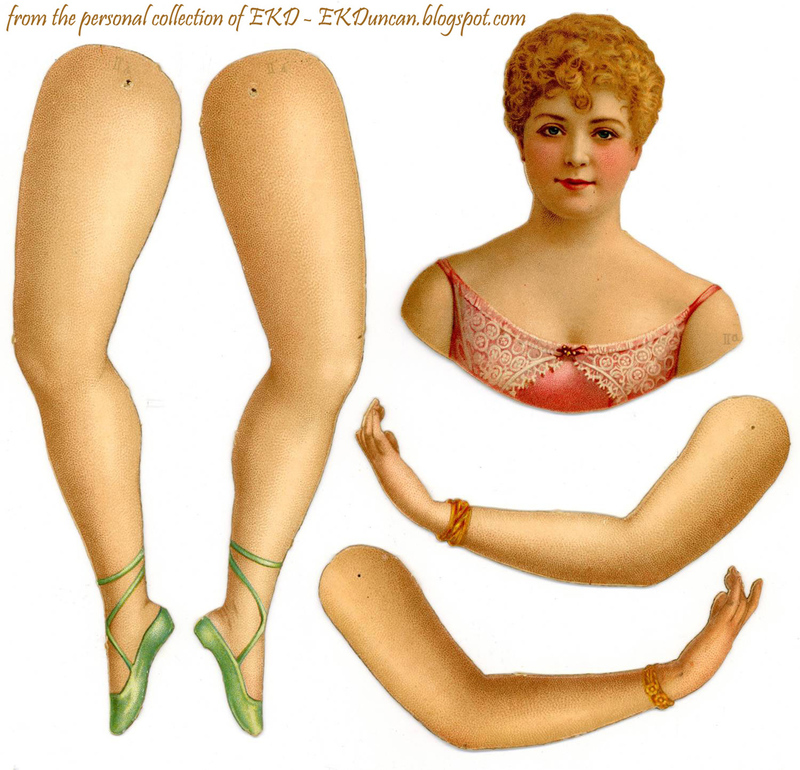 I'll be back soon with another vintage articulated paper doll for you to play with. 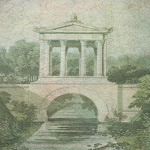 I've put a link to your curtains-page on my last post! Hello Sim - I'm glad you like the dolls. 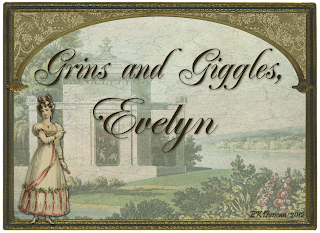 It looks like you are creating lots of fun art and it's wonderful that you have been able to use the Regency curtains I posted last year. I love your latest piece with the two "caricature" fashion ladies. 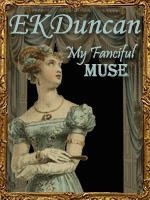 Those of the Regency knew how to make fun of their own fashions - they are great finds. 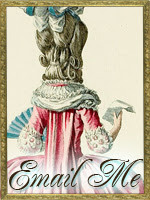 Hi Slowlaneblog - I'm glad you are getting a chance to use some of the dolls and that you are enjoying my posts. It's always nice to hear back from those who have time to browse my blog and find out what they are enjoying the best. 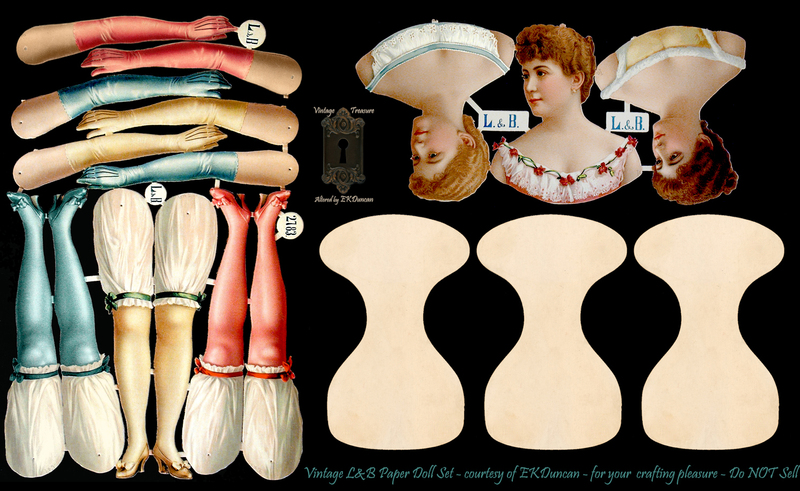 I'm a big fan of vintage paper dolls so I'll be posting more of this kind soon and of more traditional dolls later down the line. Thanks for letting me know you enjoy the posts. You give us soooo very nice gifts with these beautiful dancers of paper. With the holidays approaching, they will be able to make pretty decorations or gifts. You have also made her a new hairstyle, hi, hi. 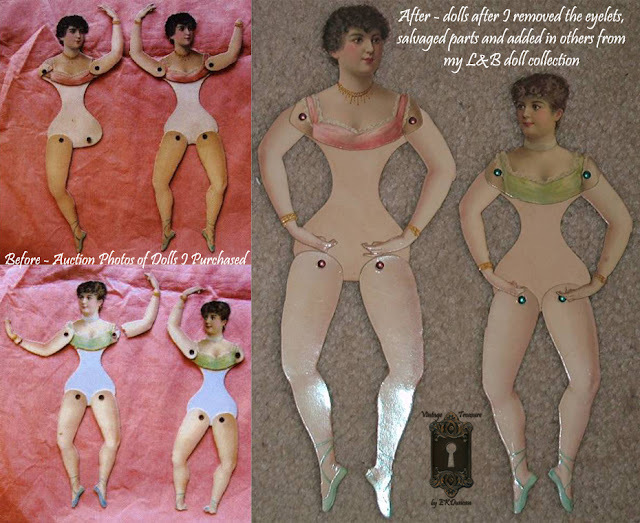 Although some paper dolls can be torn, with your digital talent you can restore them to their former glory. I love the vintage photo. Hi Sylvie - Thanks so much, I'm glad you are enjoying the dolls and I hope you make many pretty things with them for the Holidays. I figured if I was going to restore her digitally then she should get a new hairstyle too- grins. Thank you so much for letting us use your beautiful dolls! I'm new at this and I want to learn to make altered dolls and with having the parts separately, it sure should make it easier. 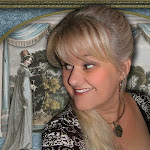 Hey Debi - I hope you have lots of fun playing with them and creating altered dolls of your own. Thanks for letting me know you like the new hairstyle on her. I think it gives her a sweeter look too. Hi! BAck in the 70's and early 80's I had some of these ballarina dolls that were printed looked like the originals I think. Anyhow, I was able to order quite a few back then and made hanky dolls from them and sold them at a wonderful shoppe. They sold like crazy. Sadly I never saved any and I do not know where they came from now. Wished I had just to satisfy my curiosity. They were authentic for sure. I tried to locate them again and never found them again. So I was elated to see these from your site. Thanks for sharing these. I don' t do anymore crafting now but still love Victorian ......blessings. Hey P.Jay - So glad you are enjoying the dolls. Yes, I believe there were a few companies that reproduced these dolls. SHACKMAN was one of the companies that sold them and you can still find them from time to time on eBay. I can see how these would make lovely "hanky" dolls. I've got a bride "hanky" doll but she's made using a vintage turn of the century wooden clothes pin.